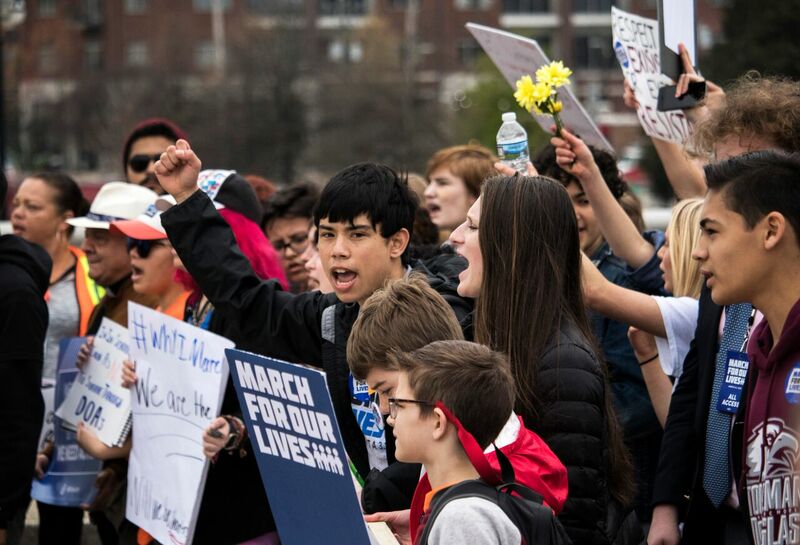 Tens of thousands of protesters gathered outside of the National Center for Civil and Human Rights in Atlanta on Saturday, March 24, 2018, to march against the NRA and a lack of gun control. The march kicked off with speakers, including survivors from the Marjory Stoneman Douglas High School massacre and congressman John Lewis. The march ended at Liberty Plaza adjacent to the Capitol. But following the march, Atlanta won’t be quiet for long. Students at Georgia State have taken the initiative to repeal legislation that they believe can foster the same degree of violence witnessed in Parkland by creating a petition. The petition, created by Georgia State junior Audrey Maloof, calls upon Gov. Nathan Deal, Lt. Gov. Casey Cagle and the Georgia Legislature to repeal House Bill 280 (HB280) that allows students to carry firearms on college campuses across the state. Maloof said that gun legislation should not be a partisan issue, and that she is open to hearing both sides of the argument. She said that she wants to take action before it is too late. “We do not want to be complacent and wait until something terrible happens at a school in Georgia before we speak up. If we can take action to avoid senseless tragedies, we have a moral obligation to do so,” Maloof said. The petition states that, although the bill was initially vetoed by Deal, it was still passed in 2017. Due to this, the students behind the petition said that they would take a new approach to repealing the bill. “We are planning a sit-in for March 29 at the Capitol to demonstrate that we are willing to mobilize for what we believe. We will be registering students to vote at this rally as well,” Maloof said. Maloof also said that there were several members of the House and Senate that were in support of the petition and had plans to join the students in the sit-in at the Capitol. By publishing the list of attendees of the sit-in, the signatories on the petition said they hope the rest of the state will vote out these individuals since many of them are up for re-election in the next legislative cycle. Another student working on the petition said that she was ready to take action and make a difference politically. “We are such a massive voter base that is often left out of the democratic process. Campus Carry is a bill that impacts all of us yet so many people do not know it exists. Part of our movement is working to mobilize students and help them become part of the democratic process,” student Latisha Hamilton said. In response to House Bill 60, former mayor Kasim Reed said that he would not allow firearms in all public city buildings with the exception of security and other related authorized personnel. Even though the petition has gained support from both students and legislative members, the document still is being questioned and rejected by others. Executive Director of GeorgiaCarry.org, Inc. Jerry Henry said that he does not think the petition’s purpose is constitutional. “Why don’t we repeal the First Amendment and the Second Amendment and the Third Amendment, and let’s just go back and let’s let everybody do whatever they want to do and lets make everything illegal. This is ridiculous. I cannot believe that people who are of adult age, almost voting age at least in some cases, are willing to give up their rights to anything, but apparently y’all are,” Henry said. In an email to The Signal, Maloof said that she did not want to repeal the Second Amendment or take away concealed carry permits at all but rather just repeal Campus Carry legislature. 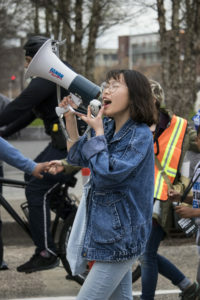 Henry said that he believes that what the students are doing is unnecessary because there has not been a shooting on a Georgia college campus in recent history.